We are one of the renowned thermocouple manufacturers in Bangalore of different applications and specifications. 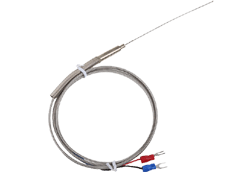 Our thermocouples are specially made under stringent quality conditions. » Available in Plain, Bayonet, Washer, Leaf and Ring types.